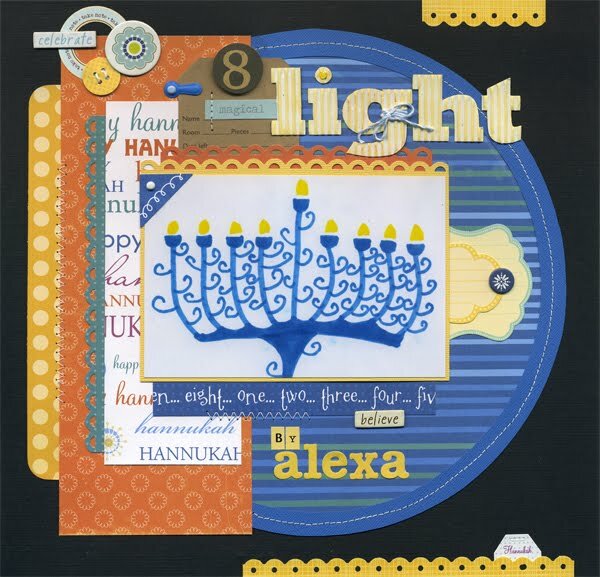 Love the colors, and that menorah is gorgeous. It turned out awseome! Love it! I agree... this is a gorgeous page indeed. Love the use of patterns and colors! And I agree with Connie... loved seeing all your beautiful work in ScrapStreet! Woohoo!